Pushed and pulled in different directions by government policies and market forces, modern universities try hard to be public institutions for the public good. Fond of proclamations, their efforts are impressive – sources of hope in times when many people feel things are not going well. The University of Sydney, the publicly-funded institution where I am based and which hosts the Sydney Democracy Network, is no exception. In a period of mounting threats to our biosphere, the University’s Environmental Policy proclaims its commitment to environmental best practice across all of its activities, and to set the standard where none exists. 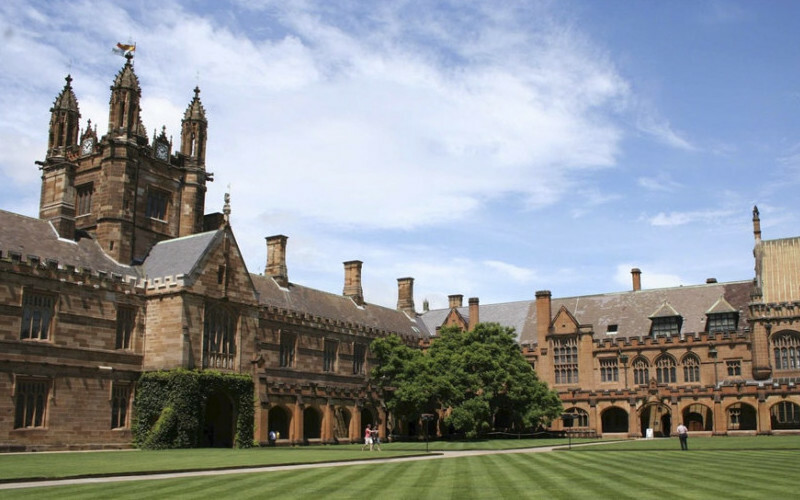 The University of Sydney’s Investment Policy governs the University’s $1 billion endowment. It commits the University to invest according to Environmental, Social and Governance principles, and explicitly excludes investments in tobacco, cluster bombs and land mines. The bronze plaques which greet visitors who approach the main Quadrangle building meanwhile acknowledge the University’s respect for the Gadigal people of the Eora nation, on whose land the University is located – a proclamation echoed in the University’s Aboriginal and Torres Strait Islander Integrated Strategy. The credibility of such sentiments is nurtured only in practice. A recent investigation by Greenpeace suggests that the University of Sydney, at least for the moment, falls short of its own principles. The carefully-researched report reveals that the University of Sydney has around $1 million of its endowment invested in Whitehaven Coal. The actions of this company place it in direct conflict with the University’s public commitments to the environment, indigenous Australia, and the public welfare of our society more broadly. Whitehaven Coal is developing the largest coal mine currently under construction in Australia, at Maules Creek in northern New South Wales, in the face of staunch opposition from a diverse network of committed Australian citizens. Local farmers fear for the impact on their livelihoods of the mine’s colossal water use, with the water table in nearby areas set to drop by several metres. The mine has damaged or destroyed dozens of cultural heritage sites of the indigenous Gomeroi traditional owners, who have been denied access to sacred sites to perform ceremony. Its impact on the environment is massive. Over 1,200 hectares of critically endangered Box Gum woodland in the Leard State Forest are set to be bulldozed, to make way for coal mining, threatening the habitats of several dozen animal species. When fully operational, the mine will contribute over 30 million tonnes of CO2 emissions per year – more than the annual total of the whole of NSW’s transport sector. When the Maules Creek investment was exposed by Greenpeace, the University announced a review of its investment policies and a suspension of trading in fossil fuel stocks on the Australian Stock Exchange, including Whitehaven Coal. There has since been no reported progress. Given that there is little ambiguity in the published environmental and social impact of the Maules Creek coal mine, the dawdling is questionable. A review of the University’s holdings in this company can only confirm what is already abundantly clear – that they fall well short of the University’s proclamations on its environmental and social obligations. This tetchiness of the powerful, their sensitivity to public criticism is rather surprising. Both organisations enjoy immense influence in Australian politics. Before taking up his current role, Stephen Galilee was the chief of staff of the current NSW Premier, Mike Baird. Whitehaven Coal’s current Executive Director, Mark Vaile, was a long-serving federal Liberal MP and minister in the Howard government. The Minerals Council of Australia was instrumental in lobbying against the mining and carbon taxes implemented by the Rudd/Gillard government – a tightly-targeted and well-financed investment that recently paid a handsome dividend, in the form of the repeal of both schemes. The recent appearances before the Independent Commission Against Corruption by Mark Vaile and Whitehaven’s founder, Nathan Tinkler, suggests further evidence of the corrupting effects of coal and fossil fuels on parliamentary democratic processes. That the coal industry is so quick to claim the status of victim reveals insecurity about the steady erosion of its public license to mine, export and burn fossil fuels. Its worries are not unfounded. The power of the global fossil fuel divestment movement is growing. Almost 30 city councils around the world have committed to divest, including the US cities of San Francisco, Oakland, Seattle and Portland. 13 universities and colleges have also taken action, including the recent move by Stanford University to sell all shares held in coal companies. Closer to home, in July 2014 the Uniting Church in Australia voted to divest from fossil fuels. The fossil fuel industry’s attempts to rubbish and silence and even criminalise their critics is anathema to a healthy, vibrant democracy. Democracy is much more than periodic elections. It comprises sets of institutions and a whole way of life committed to the peaceful refusal and restraint of arbitrary power, wherever it is exercised. Reining back the excesses of industries with considerable political power is vital in any democracy. Australia is no exception. The coal industry is a threat to the health of our democracy. By feeding the uncontrolled emission of greenhouse gases, the acidification of our oceans and the sixth extinction of species, this predatory industry is also a threat to the planet itself. The University of Sydney’s role in all this is clear. It must decide whether it is an institution which abides by its important commitments to the environment and to indigenous Australians, or an organisation which chooses to side with entrenched political power at the expense of a planet already in poor health. The decision requires more than an investment review, or another proclamation. It needs determined action – for the sake of the good reputation of the University, and for the public good. John Keane is helping to organise the four-day 2014 Festival of Democracy, which includes a public event exploring the links between fossil fuels and democracy.